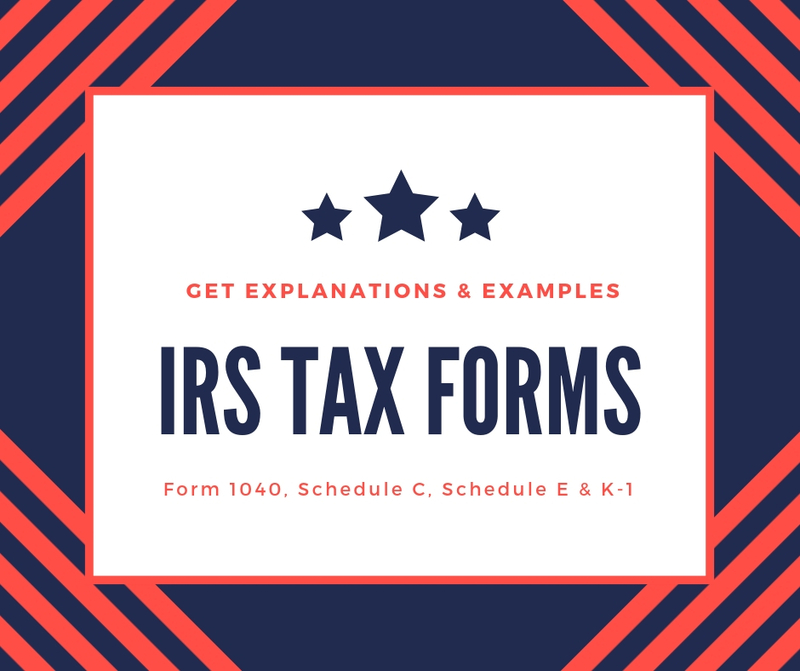 IRS tax forms will provide you with explanations and examples of several of the main income and expense reporting documents. We will take a look at Schedule C for small businesses, Schedule E for rental real estate properties, K-1 for estates, corporations and partnerships along with form 1040 for individuals. By walking through each of the line items and providing details regarding what should be included on each line, you will gain a greater understanding of what to do on your income tax filing. Income tax preparation form 1040 is the primary personal income tax reporting system that is used for declaring the summary total of all personal and small business income and deductible expenses for each year. Name, address, tax identification number, dependents. You should use Schedule C for small business when reporting income or loss from a business that you operated or a service you provided as a sole proprietor. Schedule E is the tax form that is used for rental real estate properties to report income and loss from rentals, royalties, partnerships, S Corporations, estates and trusts. Schedule K-1, Form 1065 is a tax document that is issued for an investment in partnership interests. The purpose is to report your share of the partnership's income, deductions and credits.